Dubai: While the UAE produces overnight millionaires just about every month - thanks to lottery draws — thousands of wealthy people from around the world migrate to the UAE every year. And that is why it may be safe to assume that, as the country’s well-heeled population constantly grows, chances are that you could bump into a millionaire as you go about your daily business. To date, there are now approximately 88,700 millionaires living in the UAE, up from 80,600 in 2016, according to data from AfrAsia Bank Global Wealth Migration Review released on Monday. That’s about 1 per cent of the total population in the country and bigger than the millionaire communities in Saudi Arabia, Qatar or Oman. The list is on top of the 7 UAE billionaires who are among world's richest in 2018, according to Forbes. The report also found that, as of December 2017, the UAE is home to 3,820 multi-millionaires, those with net assets of $10 million or more. An additional 1,660 people living in the UAE are ultra-millionaires, who have at least $30 million in net fortune and another 240 individuals have at least $100 million. Overall, the amount of assets held by all individuals living in the UAE is pegged at $925 billion, which means that the average person has approximately $99,000 in private wealth. That’s an increase of 10 per cent from 2016 and 60 per cent from 2007. In about ten years’ time, total private wealth in the UAE will expand by 50 per cent. 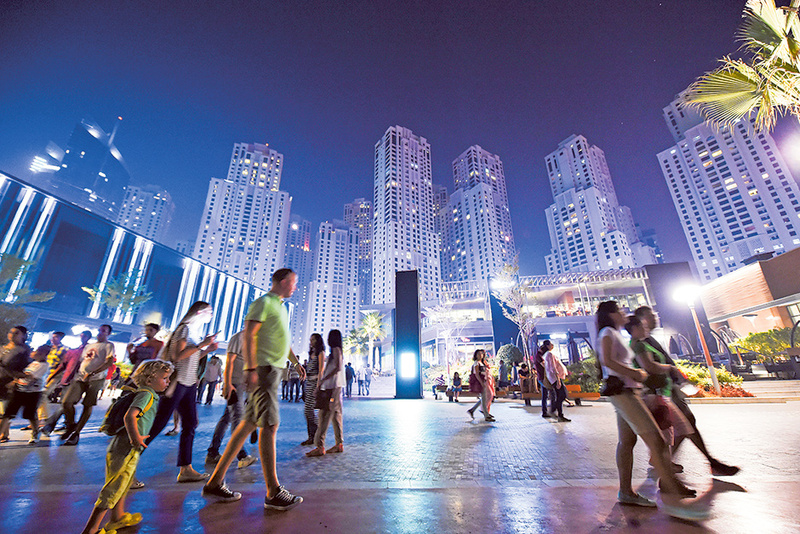 Migration plays a key part in the expansion of rich population in the UAE. Last year alone, approximately 5,000 millionaires with a fortune of at least $1 million (Dh3.6 million) moved to the country, more than the number of rich foreigners setting up residence in Switzerland, New Zealand or Singapore. According to Andrew Amoils, head of research at New World Wealth, which produced the report, wealthy people are drawn to the UAE because of its low crime and tax rates, “first world economy” and “first class” healthcare system. The country is also considered an international business hub and offers endless options for luxury or “top class” shopping, as well as top-end apartments and villas. It is also home to “good international schools and universities“ and an ideal hub for yacht and beach lovers. He said most of the millionaire migrants moving to the UAE are from the neighbouring countries of Egypt, Saudi Arabia and Lebanon. Other nations like India, Turkey and Nigeria are also considered top sources. Wealthy people in the UAE also expect to live longer. In a study of more than 400 individuals in the UAE who have at least $1 million (Dh3.6 million) investable assets, it was found that the super-rich are now paying more attention to their health, and they’re even willing to sacrifice their wealth just to live longer. In fact, nine out of ten (91 per cent) admitted that health is more important to them than wealth, according to UBS Investor Watch.